If you’ve been reading our blog for a while, you might remember this one from last year. 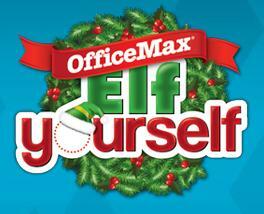 Click here to visit the Office Max site and you’ll be able to make a custom elf ecard starring you. Just upload a picture, customize it, and then select your style of music.